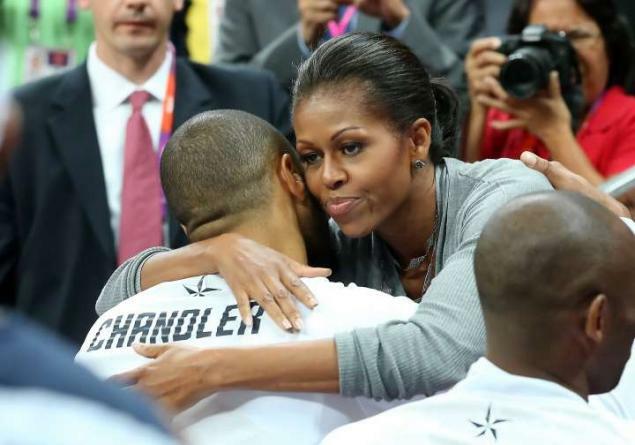 In the USA Basketball’s opening Olympic game, they win over France 98-71 on Sunday lead by Tony Parker and 5 NBA players (Turiaf, Diaw, Batum, Pietrus, and Seraphin). Kevin Durant lead USA’s charge with 22 points. 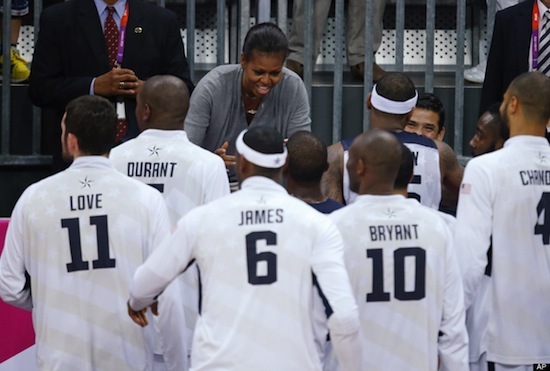 USA started slow, but picked it up in the in the final 3 quarters. Melo finished with with 9 points and 9 rebounds. Chandler had 8 points, 9 rebounds, and 1 block. 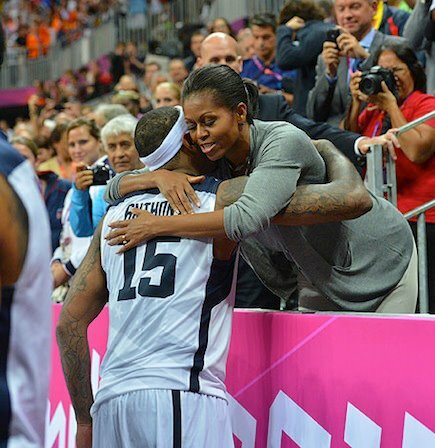 The team hugged First Lady Michelle Obama after the game.